Be careful about how you respond to your child’s results. Do not say anything which may hurt them, if they have not done as well as expected. Remember you have the responsibility of looking after a child, who is a lot more than his/her marksheet. Praise and review the effort, not the results. If he has not done well, discuss how it can be improved in future. Do not jump into a critical review immediately. Life goes on, exams happen and there are many more milestones to achieve. Your immediate response will be etched in his mind for a long time. Remember that. Attend to his/her feelings, NOT yours. Hug them tightly if they have done well. Hug them even more tightly, if they did not do so well. Play Magix- A play based, intensive early intervention program for children with communication and socialization difficulties. The program focuses on the child’s core social deficit areas, i.e. joint attention, reciprocation, relationship building, and social engagement. According to empirical evidences, deficits in these areas are now considered the earliest emerging signs of the autism spectrum disorder. This process facilitates the child’s spontaneous learning from his or her immediate environment and develops the child’s ability to reciprocate and to engage to the persons around him or her. This is an adult-mediated play method in which the child’s communication, and social skills develop naturally- that too in a completely non-demanding and non- threatening way. This is a 6-8 weeks program where parental involvement is highly encouraged so that they become empowered and can also enjoy their parenthood. Dr.Ujjaini Srimani has been a Psychiatrist, but has recently shifted her primary focus of work to narrative therapy of adult individuals. 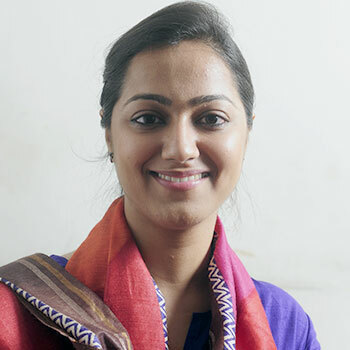 She completed her MBBS from R. G. Kar Medical College, Kolkata and MD in Psychiatry (2009) from Institute of Medical Sciences, Banaras Hindu University, Varanasi. 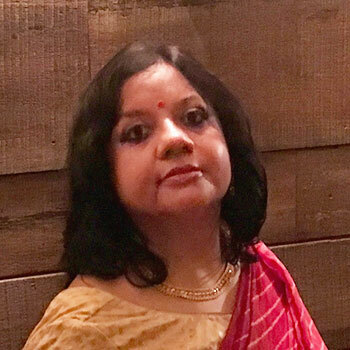 In the past, she has worked as an independent Consultant Psychiatrist in Ruby General Hospital, Peerless Hospital, Kolkata and ‘Antara’ mental hospital, Baruipur, South 24 PGS. Following her training in Narrative ideas and practice in 2017, she found deeper resonance and passion in narrative therapy than prescribing medicines for mental ailments. Since the time of entry into mental health profession, she has strongly felt the need to integrate psycho-socio-cultural-spiritual and bio-medical understandings of mental health. Practice of Narrative therapy strengthens her belief in personal agencies of people in finding their own meanings of life. She finds meaning when people troubled by problems, invite her to co-travel with them in their life- journeys. She sees this as an opportunity to take part in transforming their lives. One of her special interest areas is mental health and rights of people belonging to gender and sexual minorities (LGBTQ plus). Being queer herself she strongly feels for the cause. She has been actively engaged with creating awareness about mental health and well-being in society through interactive programs, seminars, training programs, media appearances etc. She has taken refuge in Buddhism. Attempts at being mindful help her find peace and be kind to self and others at times of difficulty. Asimayan is a Paediatric Neuro developmental Therapist trained from South African Neuro Developmental Therapy Association, Johannesburg, South Africa. He is also trained in Ayres Sensory Integration from the University of Southern California, USA. He works with children and families, helping them find hands-on solutions and strategies for their day to day concerns. He works with children with cerebral palsy, neuromotor disorders and specific learning disorders with sensory issues and firmly believes in functional independence. He holds a specialized clinical experience in the field of splinting. “Success is led by the power of communication” The magic word is Communication. Mr Santanu Mukherjee who is a Speech language pathologist uses dynamic strategies to elicit child oriented communicative behaviors. He has completed his studies from National Institute for the Hearing Handicapped, Eastern Regional Centre. In the vast field of language and communication he holds a special interest to work with both children and adults having communication difficulties. His versatility surrounds in working with children with Autism and ADHD, Stammering / Stuttering, Misarticulation (unclear speech), Pragmatic language delay, Post stroke speech and language rehabilitation. Apart from speech and language he also has a vast experience on working with voice and Swallowing disorders. He is an active member of Indian Speech and Hearing Association and RCI registered practitioner in this field since 2011. 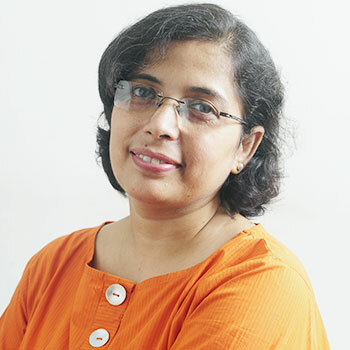 With an experience over twenty years, Sreemoyee holds a Masters degree in Social Work. She possesses a national U.K. registration number as a trained Social Worker, allowing her to practise in United Kingdom. 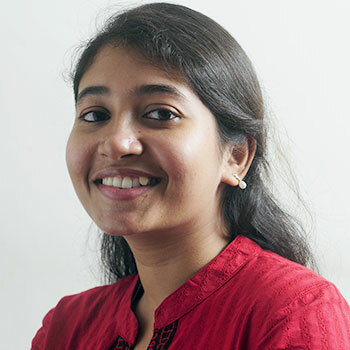 She has worked in U.K. and in Kolkata, India with reputed NGOs. Her focus of interest lies in working with disadvantaged and vulnerable children and families. Her dissertation is a reflection of the services provided to this vulnerable group. She has mastered in assessments, building assessment tools, conceptualising Child Protection & Case Management and linking those with Mental Health. 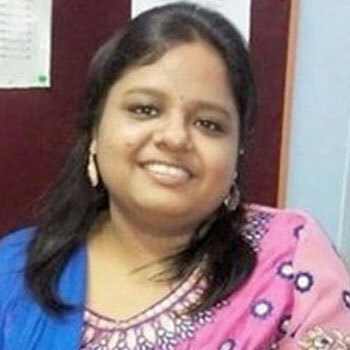 She has provided training and developed modules for sensitising programmes, for NGO workers. She has many years of experience of direct work with trafficked women and children and held Senior positions in Organisations working on such a cause. She is the Joint Director and Consultant in Social Care, in Mental Health Foundation. 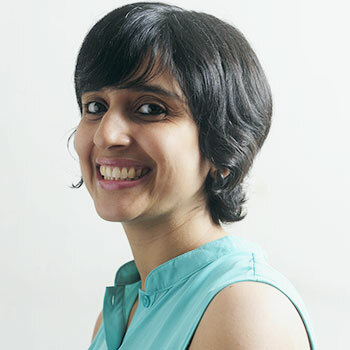 Sreemoyee, through her work in the UK and India, feels that it is extremely difficult for marginalized children and women to access quality mental health care. Hence, she wants to break the barriers that exist between NGO’s working in the field and mental health care providers. One of her key aim is to demystify mental health by providing training for Lay Counselors. She leads the networking and training initiatives of Mental Health Foundation with Social Care Organisations. She is passionate about Wildlife and photography. She enjoys cooking, reading and listening to music but nothing else brings her more joy than a Safari trip to the Wildlife Reserves and Forests and capturing beauties in Nature. 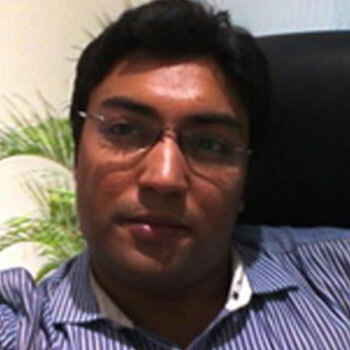 Dr. Abhiruchi Chatterjee is a Kolkata-based Consultant Psychiatrist. He did his Medical graduation ( MBBS) from RG Kar Medical college under University of Calcutta. As he was always interested in the mystery of the human psyche, he chose Psychiatry as his subject of specialization. Dr. Chatterjee did his DNB training in Psychiatry from the LGB Regional Institute in Tezpur, amidst the raw, natural beauty of Assam, and cleared the DNB (Psychiatry) examination of the National Board of Examinations, New Delhi. He has training in Child and adolescent Psychiatry and de-addiction psychiatry from NIMHANS in Bangalore and CMC in Vellore. 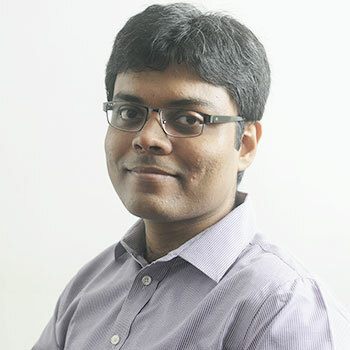 He is a Member of prestigious National academy of Medical science (MNAMS), Life fellow of Indian Psychiatric Society (IPS) as well as Life fellow of Indian association of Private Psychiatry (IAPP). In addition to his professional practice, Dr. Chatterjee is also engaged with social welfare organisations and mental health NGOs such as Iswar Sankalpa and Samikshani. He is the sole psychiatrist implementing the urban mental health programme ( UMHP) in Kolkata. He has an interest in depicting the complex human psyche in pictorial form. His special interest is child and adolescent psychiatry and community psychiatry. He is also interested in alternative forms of psychotherapy, especially “art therapy”. 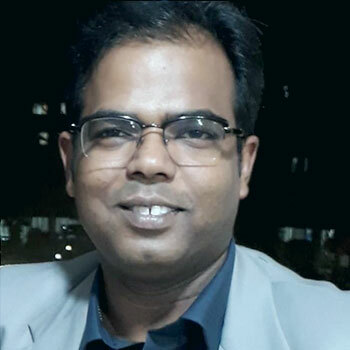 Dr. Abhiruchi Chatterjee has contributed articles in Psychiatric journals ( IJP and Eastern zonal journal of IPS) and also several regional publications on subjects such as phobias, sexual problems, dissociative personality disorder, and autism. 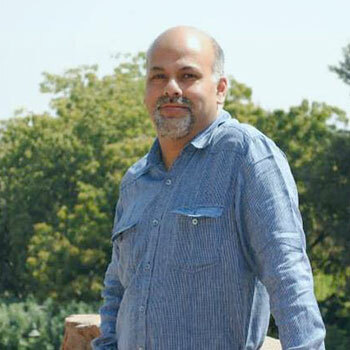 As an adolescent, Dr Jai Ranjan Ram always wanted to be a food critic and a travel guide. Unfortunately, his dreams of eating exotic food from all over the planet while he travelled remained unfulfilled and he chose a far less interesting career of Medicine instead. However, as a Psychiatrist with special interest in children and young people, he gets to relive the dreams and aspirations of young minds and feels blessed that he has, in his own very small way, enabled some troubled minds to gain freedom and blossom. Dr Jai Ranjan Ram, is an MD in Psychiatry from NIMHANS, Bangalore and also has MRCPsych from UK and CCST in Child and Adolescent Psychiatry. He has accreditation as a Specialist in Child and Adolescent Psychiatry in UK. He worked in United Kingdom for 11 years before returning to Kolkata and is now a Senior Consultant Psychiatrist attached to Apollo Gleneagles Hospital in Kolkata. He co-founded Mental Health Foundation, which focuses on providing treatment for children, young people and adults with mental health problems in a multi-disciplinary setting. He acts as an advisor to several social care organisations working with children and women. One of the areas of interest for him is explaining the nuances of mental health to the wider community and hence he takes special interest in interacting with the media to represent facts and remove the stigma around mental illnesses. Dr Ram is a strong believer in providing increased access for everyone with mental health problems and is actively involved in training professionals, teachers and carers on issues related to child and adolescent mental health. In his work with families and troubled minds, he likes to believe, like the protagonist from one of his favorite movies, that it will be all right in the end and if it is not all right, then it is not the end. Shweta Srivastava is a special educator. She has been working with Learning Disabled children since 2010. She has completed Masters degree in Human Development from the University of Calcutta. She has done her B.Ed in Mental Retardation from NIMH and also has a PG diploma in Human Rights. 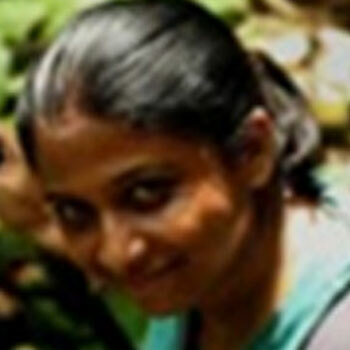 She has worked as a Special Educator for trafficked girls in a juvenile home. Her areas of interest are in providing assessment, remedial education for learning disordered and specific learning disordered children. She also imparts work habit training for children with ADHD and Autism spectrum Disorder. She runs group training sessions for ADHD and ASD children who attend mainstream schools. Ms Mahua Paul (B.Ed – Special Education) has been a practicing special educator and behavior management professional since 2001. She teaches children with autism spectrum disorder, ADHD and learning disabilities. Her areas of interest include Early Intervention Programs, Academic Intervention through customized learning strategy design, Outdoor Learning, Group Learning, Activity Design and Learning through Theatrical and Performing Art. She is a regular theatre actor, a recitation artiste and also trained in ‘Drama for Autism’ (Velvi). She is also an avid traveler and a wildlife rehabilitator. Ms Lipica Bhattacharya is a special educator working with children with delayed development and poor school performance since 1995. She has done her B.Ed and M.Ed from SNDT University, Mumbai. She had her training in teaching children with Cerebral Palsy, mental retardation and Specific Learning disorders. 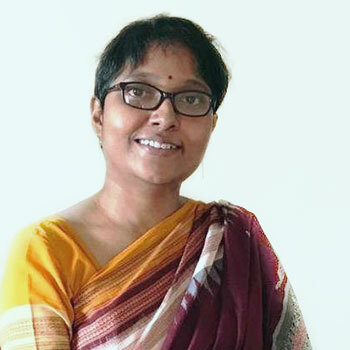 She is also attached to Department of Psychology, University of Calcutta as a guest lecturer and is attached to a research project on learning disorders in the same department. She has been training teachers, psychologists, parents and school administrators on how to identify and intervene poor school performance. She plans adaptive curriculum for integrated schools and schools for first generation learners. Her area of interest is Specific Learning Disorders or “dyslexia’ as commonly known. She assess, intervenes and helps ‘Eshan Avastis’ of the famed film “Tare Zamin Per”. Training parents and children to reflect on their own behavior and modify it according to the need of the environment through self monitoring is something she does most often. Shaneel began working in Special Education in Scotland, UK, in 2001 and focuses mainly on individuals on the Autism Spectrum. Her work includes parent and teacher training in social communication, adaptive skills and behavior management. Children with Autism face significant hurdles in their daily living, in their schools, homes and in their social environment. Shaneel attempts to offer solutions for these problems, working in partnership with the child and their significant others. This involves liaison between home, school and professionals involved with the child. One of her main areas of interest is providing school based solutions for children with Autism and Asperger’s Syndrome, who present with a range of difficulties in behaviour, learning and peer group interactions. Shaneel is a key member of the training initiatives of MHF, training teachers, carers and professionals on Autism and related Developmental Disorders. Her MSc (Applied Psychology) dissertation explored paediatrician, psychiatrist and psychologist’s awareness in diagnosing Autism. She has also been involved in large-scale research projects in the area of Autism and community mental health. Her 2nd job is that of a Latin Dance instructor, which she does with her husband who is a full-time dancer. She uses this platform to raise awareness about Autism within the community, and working on inclusion for those who require a social outlet in a sheltered informed environment. Shatabhisha is a clinical psychologist, and a licensed psychotherapist under Rehabilitation Council of India. 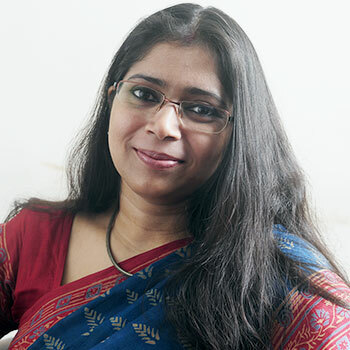 She has done her M.Phil in Clinical Psychology the University of Calcutta and is currently pursuing her Ph.D.
She primarily works with children, adolescents, and young adults- in their search for strategies to deal with the different issues we encounter in our journey from childhood to becoming a responsible independent adult. Her areas of special interest lie in the field of marital and sexual issues and difficulties. Her clinical experience has taught her that communication often becomes a key area of difficulty which leads to a variety of emotional and anger management problems in adults and behavioral problems in younger members of the family. She uses a variety of therapeutic approaches to untie the knots in communication and through the therapy sessions. She helps to create a space that helps individuals and families communicate more openly and honestly, which ultimately enables them to move forward. 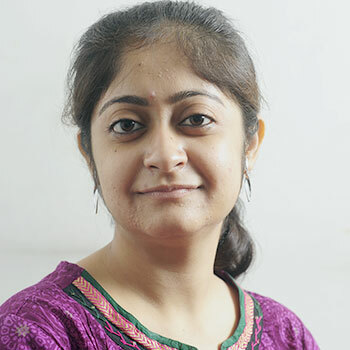 Ms. Manisha Bhattacharya is a Clinical Psychologist (RCI registered); she has done her M.Phil in clinical psychology from Department of Psychology, University of Calcutta in 2012. Her areas of interests are anxiety spectrum disorder, depression and working with children and adults with High functioning Autism. Her interest revolves mainly around the individuals with Autism and their mental health issues along with developing their social skills. She acts as an advocate for these individuals. She is a certified PEERS practitioner- A UCLA program for development of Social Skills in adolescents with Asperger’s syndrome. She is also a certified Graduate on Social Role Valorization- Residential course, conducted by Keystone Institute India and National Trust of India. She is the one of the master-trainer of ASD assessment tools, recognized by Ministry of Social Justice and Empowerment, Government of India. Ms. Bhattacharya is also a certified trainee of Employment for persons with Disability; conducted by Keystone Institute of India. She has done the Narrative Therapy course, conducted by Ummeed and Mental Health Foundation and is practicing narrative therapy on the children and adolescents with Autism. She is also a facilitator in Mental Health Foundation’s new endeavour- PLAY MAGIX- an early intervention program for children with Autism or other communication and socialization difficulties. Ms. Bhattacharya is involved in different awareness programs for Autism and also conducted training programs for special educators, in collaboration with Rehabilitation Council of India (RCI). She was also an invited speaker at Banga Bandhu Seikh Mujibar Rahman Medical College, Bangladesh. Her interest in this field has led to many publications in different science and medical journals as well. Somdeb Mitra is a Consultant Clinical Psychologist and Psychotherapist. 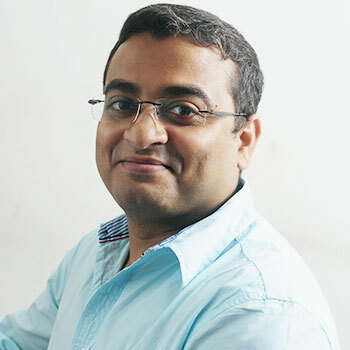 He completed his M.Phil in Clinical Psychology training from the Department of Psychology, Calcutta University in the year 2010 and has completed his PhD on treatment of Borderline Personality Disorder through emotion focused treatment and treatment Personality Disorders is his key area of work and research. Somdeb has extensive experience of working with government and non-government organisations providing mental health care services. He uses different types of empirically supported therapeutic approaches (Cognitive Behavior Therapy, Family Therapy etc.) depending on the client’s need. He has special interest in Psychodynamic Therapy and treating adolescents and adults having mood fluctuations, relationship problems and difficulty with anger control. He finds it especially rewarding to align himself with adolescents and young adults who feel alienated from their families, peers and society and attempts, through his therapeutic strategies, to increase their competencies to resolve their difficulties. Parmeet Soni (M.Sc, M.Phil) is a registered Clinical Psychologist who has been working in mental health and research settings since 2012. She primarily works with children, adolescents and young adults in the area of emotional and behavioral disorders. She employs an evidence-based approach to psychotherapy and has extensive experience in conducting psycho-diagnostic assessments. Through her work with children and young people, Parmeet has identified that many poor school performers have undetected Developmental Disorders like ADHD, Dyslexia and Autism Spectrum Disorder. Working with children who do not learn despite having adequate intellectual abilities is one of her core areas of expertise. Observing the increased occurrences of behavioral addictions, such as the excessive use of internet or gadgets for gaming, and substance misuse in the younger population, she focuses on the dual disorders relevant to these contexts. This approach helps in treating both the dependence and factors contributing to it. She provides parent training and works in liaison with schools to plan viable management solutions for children. She participates in clinically-centred research and periodically conducts clinical training and supervision. Her other areas of interest include bereavement and grief counselling. She also is the co-ordinator for the Internship training program for trainee Psychologists at Mental Health Foundation. Priyanka wanted to be a creative artist, healer, doctor, teacher, chef and was fascinated with children. After a journey of searching she found a calling in working with mental health needs of children, adolescents and young adults. Training in Clinical Psychology, completing M.Sc (2001- 2003), then M.Phil (2005- 2007) in clinical psychology from University of Calcutta , clearing the UGC NET examination for eligibility for lectureship, completing a course in school counseling was the path she chose. Her hope, at the beginning of the professional training, was to be an expert in the field. By the end of the training, she realized that a world of known unknowns got opened up with skill training in Cognitive Behaviour Therapy. The 10 years that followed was a learning journey from texts to real world. Mental Health Foundation , Child Development Center at Apollo Gleneagles hospitals was the part of this journey from the very beginning. Her best teachers were the clients and the stories they brought. Person-hood, the human in the clinic, community at large, systemic thinking were the things that became her key area of interest in the context of clinical psychology. This came with a training in Narrative Therapy and Practices and Solution Focused Appraches (2017 – 2018) and a strong sense of resonance with these ideas. In keeping with the scope of MHF in capacity building among community mental health carers, coordinating training opportunities on Narrative Practices with Ummeed, Mumbai was an exciting addition to the journey. With an intention of not limiting herself to the clinic space she takes up a few other roles. One is part time teaching in the Masters Course at West Bengal State University since 2009, the other being community workshops with schools, corporates, social responsibility sector. She has also taken up services in the mental helath cell at St Xavier’s College, Kolkata. She seeks out and offers peer supervision. 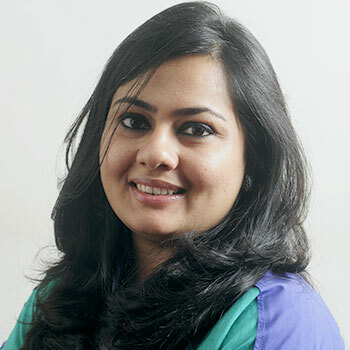 Priyanka Podder is a consultant Clinical Psychologist. She has completed M. Phil in Clinical Psychology and has been working in the field of mental health and related research. She conducts psychometric assessments and psychotherapy with children and adults. The therapeutic approaches used mainly include Behavior Therapy, Cognitive Behavior Therapy, Dialectical Behavior Therapy, Family Therapy and Eye Movement Desensitization and Reprocessing. She also takes a keen interest in the field of Forensic Psychology.